Grey from head to tail, just like his parents. He has inherited the Blackthorn stripe along his back, and has a smattering of freckles across his cheeks. He's an average sized wolf, a perfect combination of Finley and Elwood. His eyes are a vibrant shade of jade green. shy; highly sensitive (HSP); easily flustered; always looking to make the lives of those around him easier; afraid to do the wrong thing. Eljay was born in Redhawk Caldera to parents Elwood and Finley. He was very attached to his parents from early on, having no siblings. This attachment quadruppled when Finley got lost early in his youth on an outriding mission. Eljay is scared to leave Redhawk Caldera and prefers to stay at home. Due to his difficult youth Eljay still acts fairly young, and he puts a lot of pressure on developing and growing up which doesn't help. A day after his two year birthday, Eljay leaves Redhawk Caldera because he doesn't want to be a bother to them anymore. Eljay ends up close to Wildfire's new pack, Drageda. After a few months of scraping by at the borders of Drageda he is finally accepted into the pack. Eljay takes some time to recover from life as a loner. 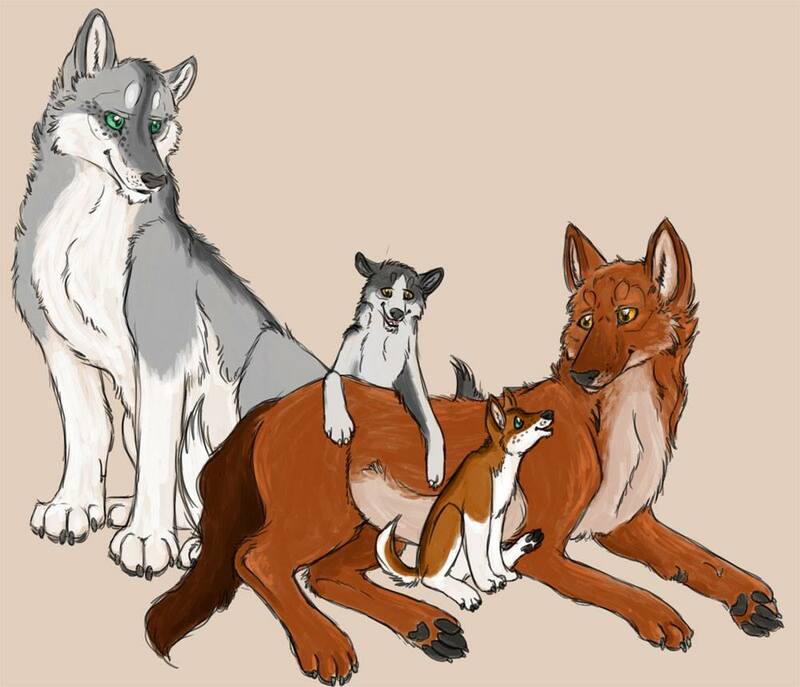 He meets Wildfire's children Bobbin and Blixen. When Redhawk Caldera and Drageda go to war with Blackfeather Woods, Eljay can't bear the thought of his mom getting hurt and he finds her during the war. Eljay gets hurt trying to protect Finley and is brought back to Redhawk Caldera, where he stays. The pack moves to Heron Lake Plateau after the war, but Eljay dislikes this place and is homesick after Redhawk Caldera. End 2018 Wildfire returns to the Redhawk pack. 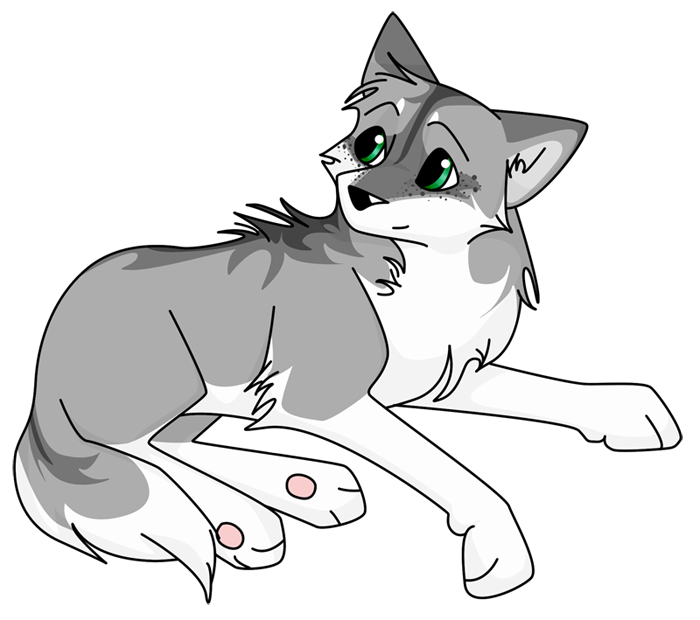 She soon decides to create her own pack, Firebirds. Eljay joins the pack right away, not wanting to lose Wildfire (again). During Wildfire's heat they mate. Eljay has feelings for Wildfire but he's too afraid to admit them. Wildfire is the one to admit she wants to be mates with Eljay first mid-February 2019, after they establish that Wildfire is really pregnant, so they become mates. Email: Send Eljay an email.